I had a ton of things that I wanted to try but got distracted by making dress up clothes for the kids. I did, however accept a tiny custom order from a neighbour who wanted a gift for a dear friend of hers. 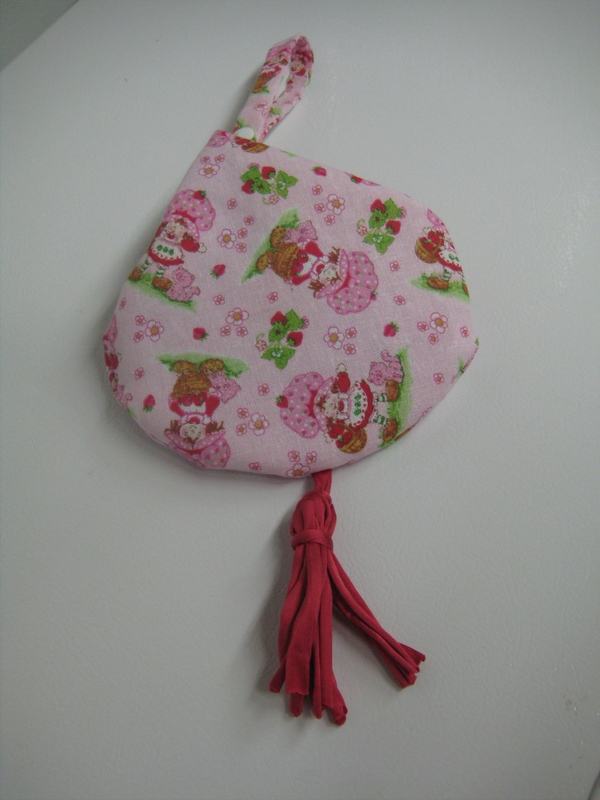 And the item I came up with just happens to be Asian inspired. I have been meaning to make up this pattern for awhile. Like I was going to make one for myself out of the blue brocade I used to make my wedding dress out of - yeah that long ago. I never did get around to it. 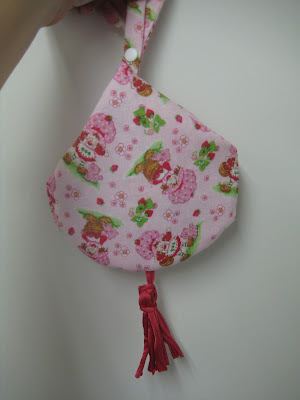 But my neighbour asked me to make a tiny purse to house a charm that she had bought for a friend of hers. Not any cute purse would do for such a special gift. It needed to have character! 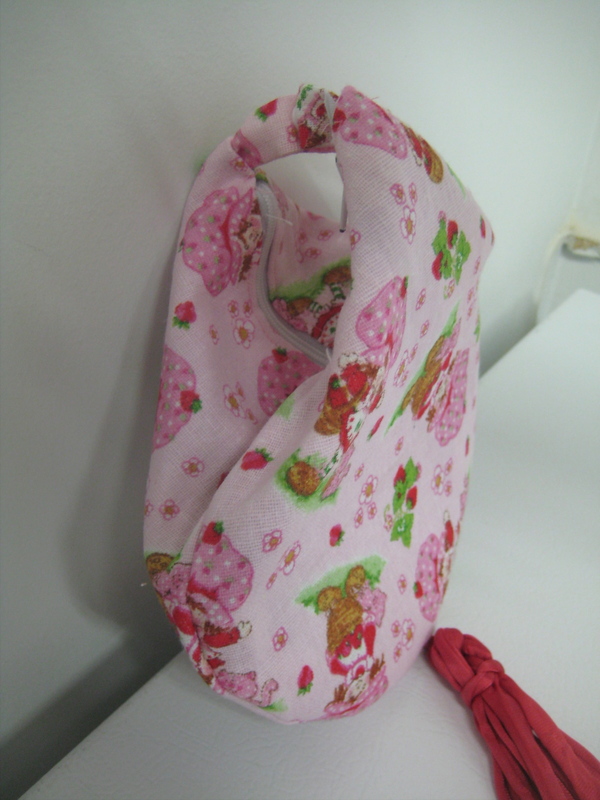 The Strawberry Shortcake fabric you may have seen before because I used it to make Lane's spring coat. 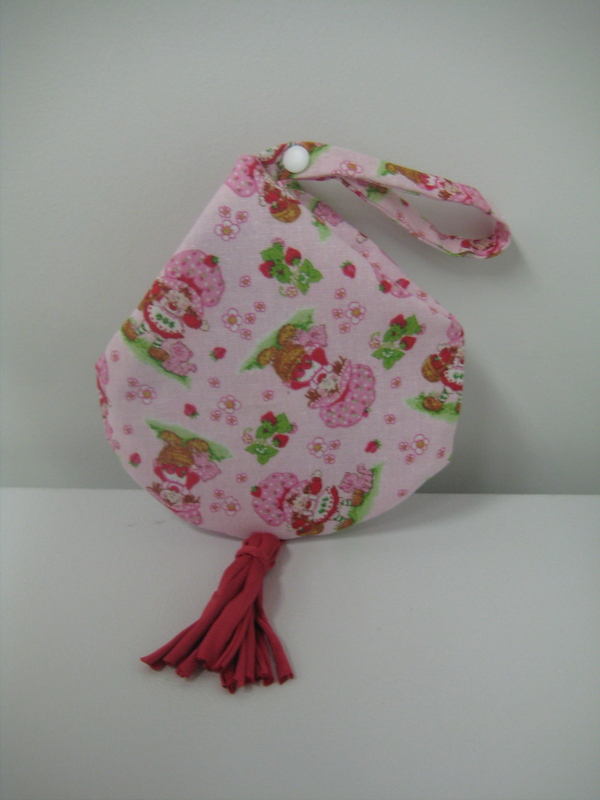 It was requested because the gift receiver really loves Strawberry Shortcake (and still sleeps on a pillow case made from this character's themed fabric that she's had since she was little - or so I hear anyway). It was a strange way to put together a little purse because I had to sew the zipper in sideways in order to make the bag turn into that cute teardrop shape. The Asian inspired tassel I made myself using some red nylon that I had leftover from tying macrame covered hangers. I think it adds the perfect touch on the bottom of the bag. To see what all the other Iron Crafters created for this challenge please check out the Flickr Group.